Yes, the wine! What else? Think that's a digital problem. The lamp post appear to me like @! I always think of that when I see them. 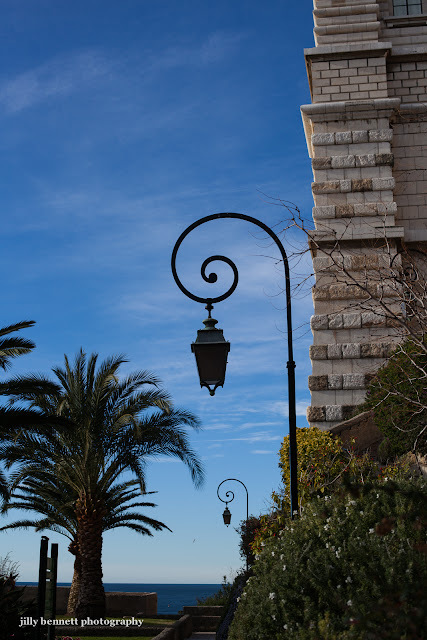 I love these classic style of street lights. Sharon took a great photo of one in the Recoleta Cemetery in Buenos Aires, with the sun silhouetted behind it. The prison of Monaco is next to it, at your left, if I am right, down the stairs.